Ready-to-use metal repair putty, dent filler and patching compound. High Temperature epoxy for powder coating. High Temperature Adhesive used to fill dents and surface imperfections. High Temperature Putty for automotive and foundry applications. 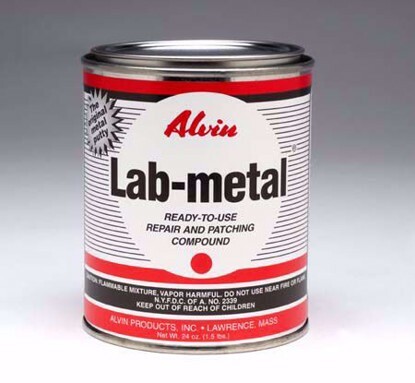 High Temperature paste that hardens into metal. This product can be used as a high temperature epoxy, epoxy putty, epoxy repair putty, auto body filler and an aluminum epoxy for powder coating, welding, fabricating and foundries.